I genuinely love the concept of monthly beauty boxes. There are times I squeal with joy when opening them, and then there are times when I look at the contents with dissatisfaction. Regardless, I've discovered a plethora of brands simply through boxes like Glambox and have ended up purchasing full-sized products, some on a regular basis. This month's box contains brands that I've been accustomed to using over the past 3 years, one more than the other. 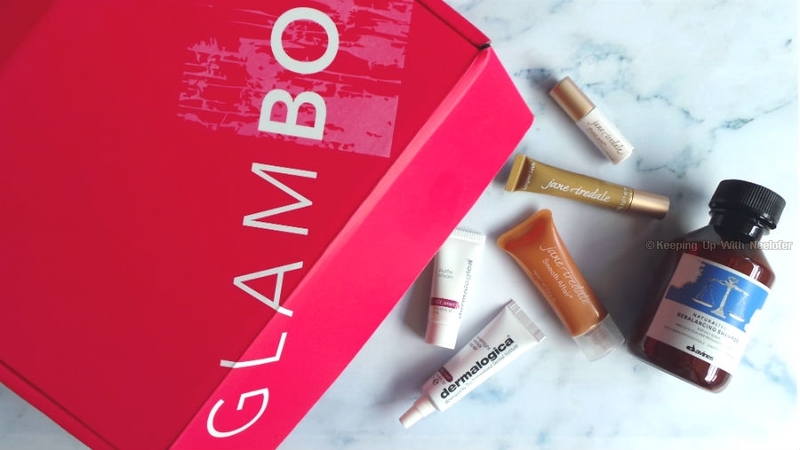 Dermalogica, Davines and Jane Iredale make up August's Glambox and the first 2 are the brands that have a special place in makeup case (and heart). I love Dermalogica quite a lot and a reflection of that passion is the number of products I have bought over the years including the Antioxidant Hydramist. This mist is a super-moisturizer (among other things) and there are times, on a holiday when I have only sprayed this on my face sans a moisturizer. Nonetheless, I'm quite excited to try this month's goodies. Let's unpack! Dermalogica Overnight Retinol Repair: This is the brand's bestseller from their Age Smart line (mentioned by one of the skin therapist the the Dubai Mall spa) and works deep into the skin to prevent signs of aging and improves skin's texture. Retinol functions actively to tackle fine lines and wrinkles. Vitamin C takes care of uneven skin tone and discoloration. It is recommended to use it with the Buffer Cream (because Vitamin A aka Retinol can be too strong on the skin). I'm looking forward to using this for the minor spots of pigmentation I have- hopefully, this product should work its magic. I'll report back soon! Davines NaturaTech Rebalancing Shampoo: I fell in love with Davines when I used one of their shampoos from the After Sun Wash range. I have a love-hate relationship with my hair and it is safe to say that I loved my hair everytime I used the shampoo. Soft, zero frizz and light-reflecting strands is how I define my hair after it went through the shampoo regime. Later I discovered the aptly named Glorifying Hair Care range, which was equally satisfying. So, when I spotted a Davines bottle in the box, my first reaction was "YESSSS!". While the shampoo is meant for individuals with oily hair (this isn't my hair type), I'm still going to use it and I know I will be amazed by the results. Jane Iredale PureLash Lash Extender & Conditioner: This is one of those lash conditioning products you apply right before you apply the Longest Lash Mascara. One of the things I noticed is the fact that it contains beeswax and wheat protein. Jane Iredale Smooth Affair: This is an interesting product. It's a primer and a brightener, plus it has apple extract and green tea leaf. The box also has a handful of vouchers including an Esthetic Sensen Dermalogica facial (hurray!). 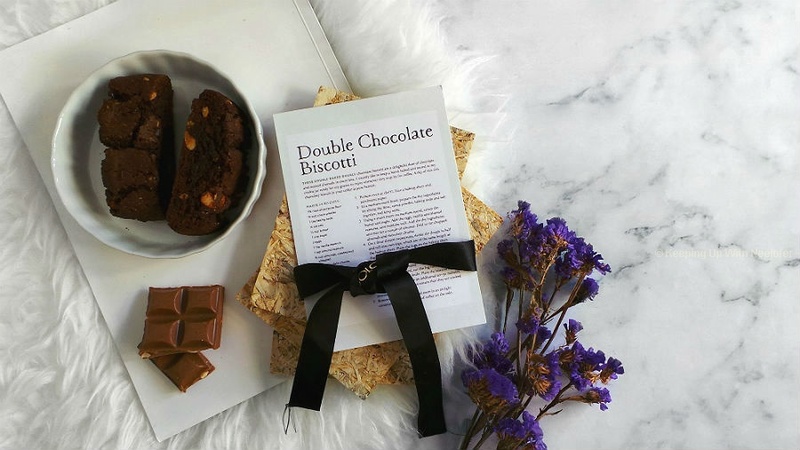 What did you like in this month's Glambox?